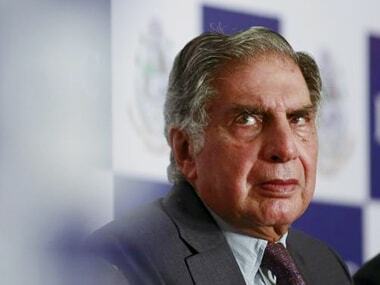 When Ratan Tata retired as chairman of Tata Sons Ltd in 2012, he proposed a change in the laws governing the relationship between India's largest conglomerate and its key shareholder, according to sources familiar with the situation. Until then, the Tata Trusts - public charities owning two-thirds of the company - had easily protected its investment. A Tata family member had for decades held the chairmanship at both the Trusts and the company, whose businesses include cars, software and steel. But an outsider, Cyrus Mistry, had just taken the top job at Tata Sons. Tata wanted to make sure the Trusts, that rely on Tata Sons for dividends to fund their charitable work, could keep having a major say in company decisions, the sources said. Mistry agreed, and in doing so sowed the seeds of his ouster from the company last October, according to interviews with more than half-a-dozen current and former Tata executives and advisors, and a review of meeting minutes, emails and a court petition that Mistry has filed against Tata Sons. Mistry's departure — and the reinstatement of the 78-year-old Tata as interim chairman — has triggered a bitter, public spat that has contributed to nearly a $10 billion decline in the market value of Tata's many listed companies. 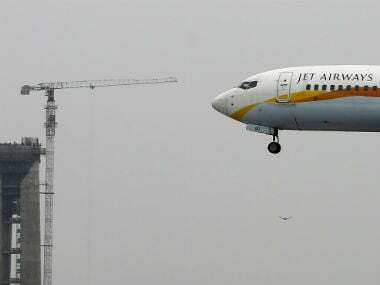 Even if the conflict is resolved, the company could face future governance issues as the structure remains unchanged, which means it could weigh on any new chairman. "It is going to be very difficult for an external person to take the role," said Shriram Subramanian, founder of proxy advisory firm InGovern Research. Mistry wrote in a letter to the Tata Sons board on October 26 that Tata improperly used the change in bylaws to interfere in the affairs of the company and created an alternate power center at the group, which made it hard for him to do his job. Tata Sons spokesman Debasis Ray said Tata asked Mistry to do only what was in the bylaws and got involved in the company's affairs when he was asked. Tata Sons has cited Mistry's performance as the main reason for firing him, holding him responsible for rising expenses and impairment provisions. Still, interviews with sources on both sides and the review of documents show that the changes in bylaws helped create the conditions that caused friction between Mistry and Tata and increasingly hindered smooth functioning of the group. Over the past 30 months, Mistry met Tata - often along with fellow trustee Noshir Soonawala - more than two dozen times to update them on deals and other strategic decisions at group companies. In several cases, the meetings and explanations led to disagreements, the sources said. The changes in bylaws, which were finalised in 2014 after more than a year of discussions, substantially increased the accountability of the chairman of Tata Sons to the directors nominated by the Trusts. The Trusts can nominate one-third of Tata Sons' directors. The new bylaws require major decisions, such as deals and changes to the company's capital structure, be approved by a majority of the Trusts' nominees. The chairman was also now required to present five-year and annual business plans to the board and have them approved by a majority of the nominees, the bylaws show. The chairman, though, was not directly accountable to any of the trustees, including Tata. The Trusts' nominees were expected to represent their interests on the Tata Sons board, sources familiar with the rules on both sides of the conflict said. 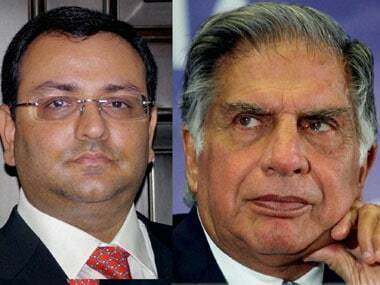 Mistry said in his letter that the family's patriarch nevertheless continued to directly interfere in the conglomerate's affairs and called the nominees "postmen" who did Tata's bidding. Mistry also wrote that Tata's interference "severely constrained" his ability to make the necessary changes to turn around many of the conglomerate's loss-making businesses. Of the three nominees of the Trusts on the nine-member Tata Sons board at the time of Mistry's ousting, one declined to comment and two others could not be reached. Tata Sons' Ray denied that Tata interfered with operational matters after stepping down. Tata never attended the group's board meetings and any interaction between Tata and Mistry was at Mistry's behest, Ray said. The dispute is now being litigated. Mistry filed a petition on 20 December at the National Company Law Tribunal, a quasi-judicial body that deals with corporate grievances in India. In his petition, Mistry has asked the court to stop Tata and the trustees from interfering in the affairs of the company, replace the entire Tata Sons board and order an investigation into the role of the trustees. Tata Sons has called his accusations baseless and malicious and said it believes that Mistry's petition is not maintainable in law. While the extent of Tata's influence remains in dispute, sources on both sides acknowledged that Tata and Mistry often met to talk about the affairs of the company, and sometimes disagreed on the best course of action. 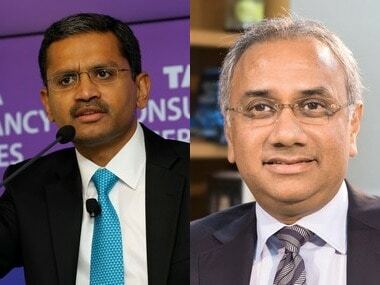 For example, when Tata Power decided to buy $1.4 billion worth of renewable energy assets from rival Welspun Energy this summer, Tata and Soonawala - who is also a former Tata group finance chief and close confidante of the family's patriarch - got involved. Emails from early July between Mistry and Soonawala show that Soonawala had ideas about how the deal should be structured that were different from the proposals made by bankers who were advising the group. Soonawala also told Mistry to get Tata's sign off before finalising the deal, two sources close to Mistry said, adding that the involvement of the two men led to the deal being delayed by several weeks. Ray said Soonawala, 81, got involved because he was asked by Mistry to do so. Another Tata Sons spokesman said "there were no delays because of consultation with the trustees". Sources close to Mistry deny he asked for Soonawala's advice. It could not be independently confirmed whether such a request was ever made. In another instance, just weeks before an Indian telecom airwaves auction in the autumn, Mistry met Tata and Soonawala on three separate occasions to discuss Tata Teleservices' bidding strategy, two sources close to Mistry said. They said the meetings lasted for hours, as the two sides disagreed on how much extra spectrum Tata Teleservices should buy. It could not be independently determined as to who asked for the meetings. Tata and Soonawala wanted the purchase to be kept at a minimum because the company was already bleeding, but Mistry and Tata Teleservices executives wanted to buy more, arguing it could help increase value and draw interest from suitors, the sources said. Tata Teleservices ended up paying 46.2 billion rupees ($681 million) for some of the spectrum being sold, government data showed. What is not clear is who prevailed in the internal argument over the bidding.